Member's Car Journals Car journals by our members. 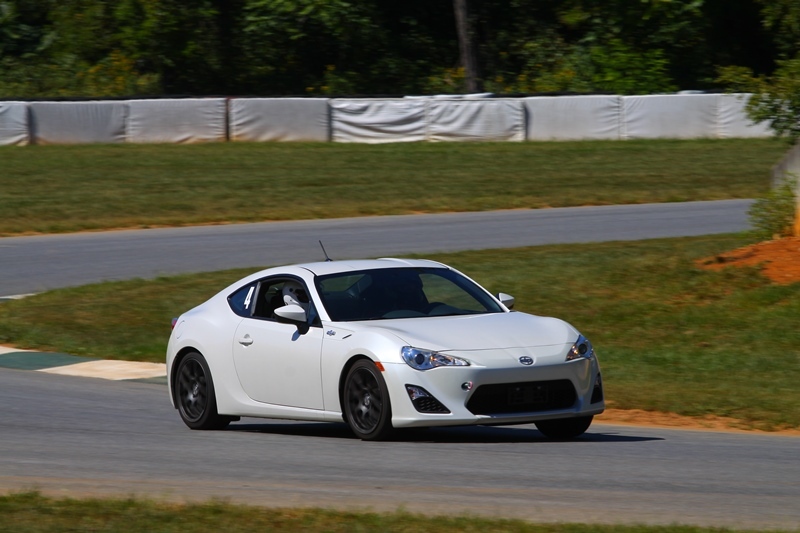 Planned Mods -- Nothing crazy, just making the car more track-focused. Last edited by DarkSunrise; 09-13-2016 at 09:54 AM. One of the first mods I did was a Perrin CBE (non-resonated). Love this exhaust. 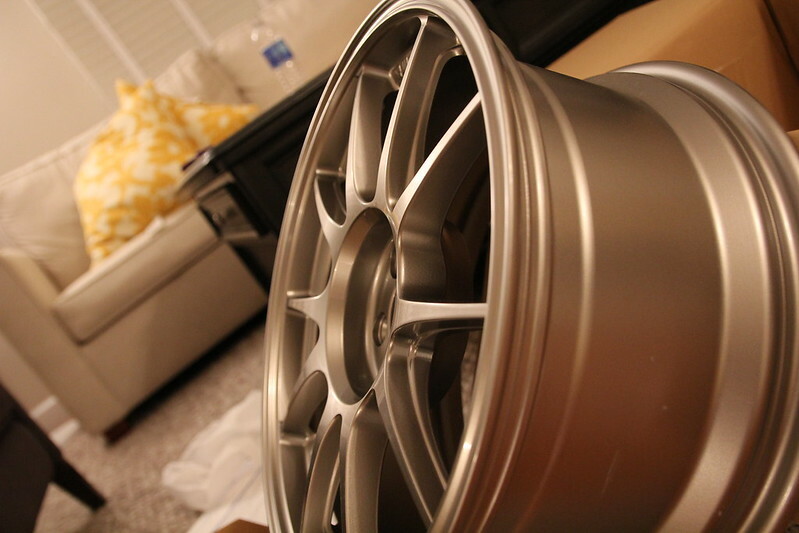 The fitment is excellent, it looks great, and the tone is deep and has lots of texture. My only complaint is that the volume is slightly loud after it warms up fully, but nothing unreasonable. I noticed the muffler section turned a deep bronze/brown color after some extended spirited driving. I'll post some pictures later. Last edited by DarkSunrise; 09-23-2013 at 09:39 AM. 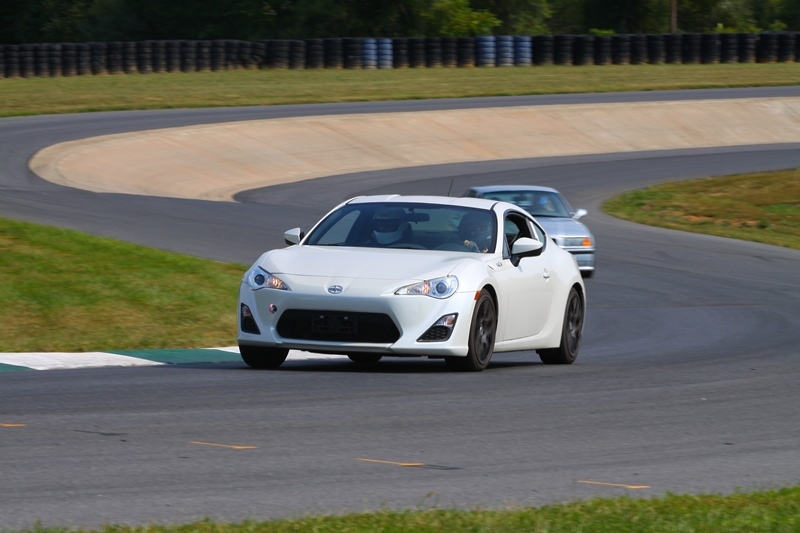 Took the FR-S to its first track days at SP Shenandoah a couple of weekends ago. 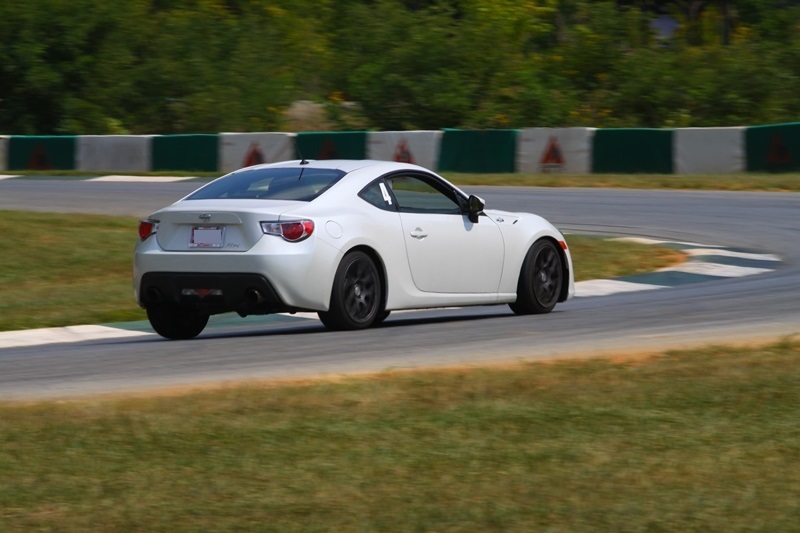 I had done a number of autocrosses with it, but it was time to get it out on a full track. 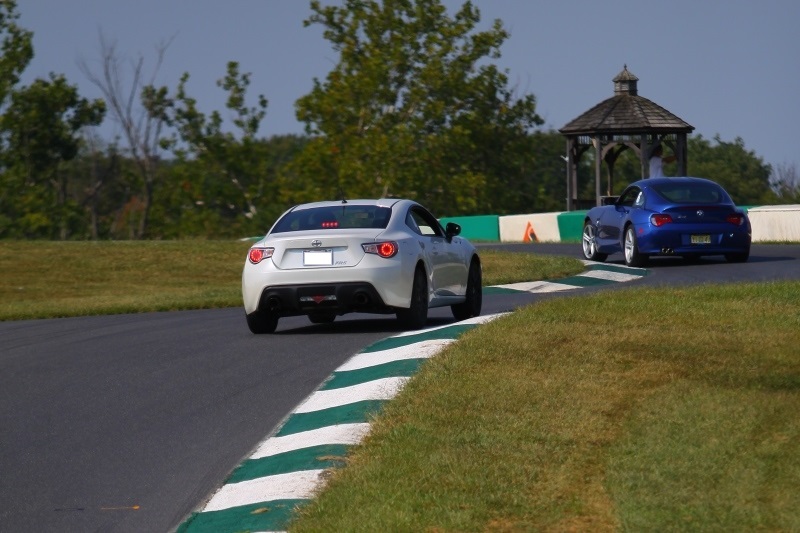 1) We ran nearly the full course with a hot pit leading to Turn 1. I've never run this configuration before and loved it. 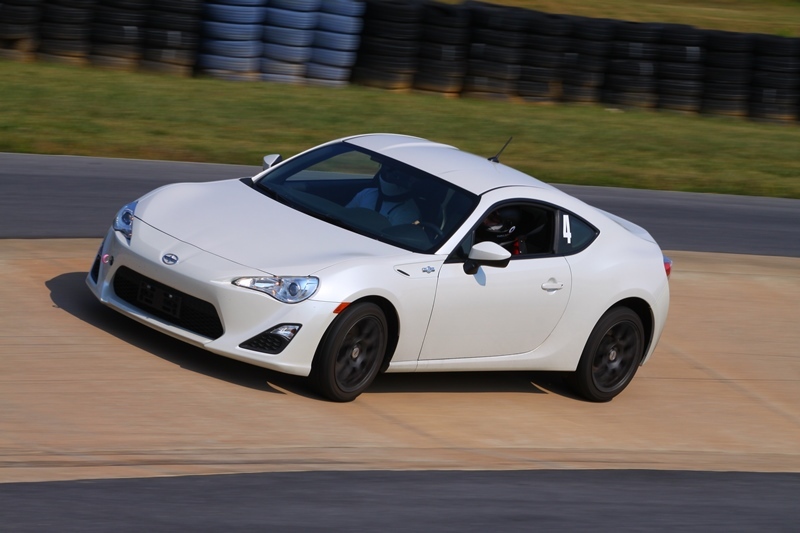 2) The car was exactly what I was hoping for -- reliable, consistent, and fun. It was at home on a technical course. 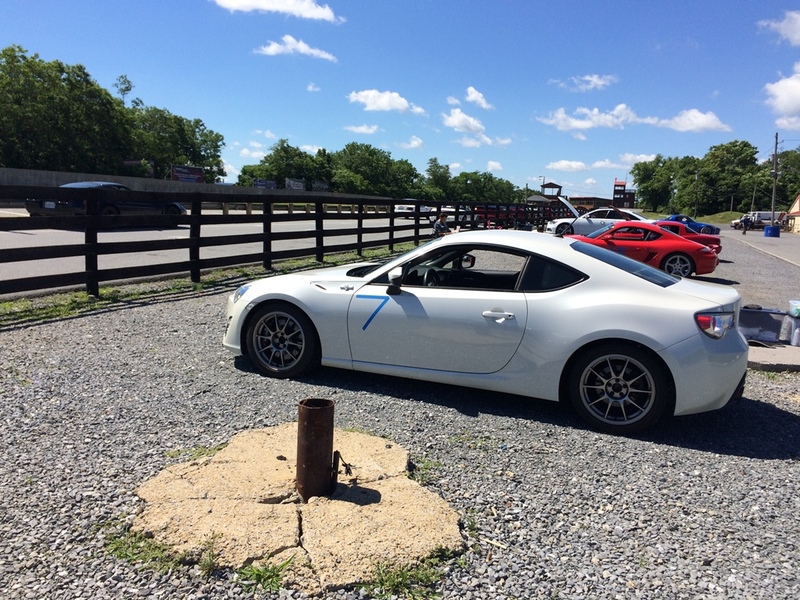 3) Stock suspension - I was impressed by what they put into this car from the factory. Body roll was well controlled and the balance felt great. 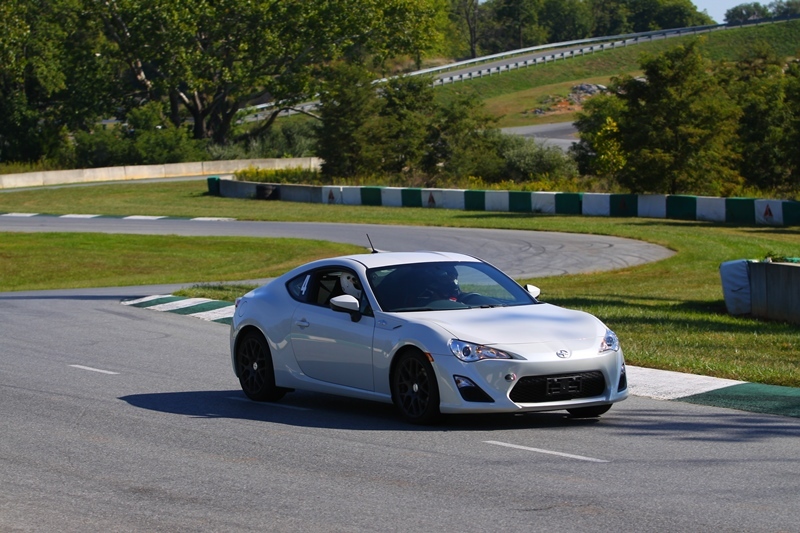 Slight understeer mid-corner, but a soft transition to oversteer with either power or lift. Really felt the sublime balance in the cave esses, the hook, the turn before bridge straight, and big bend. 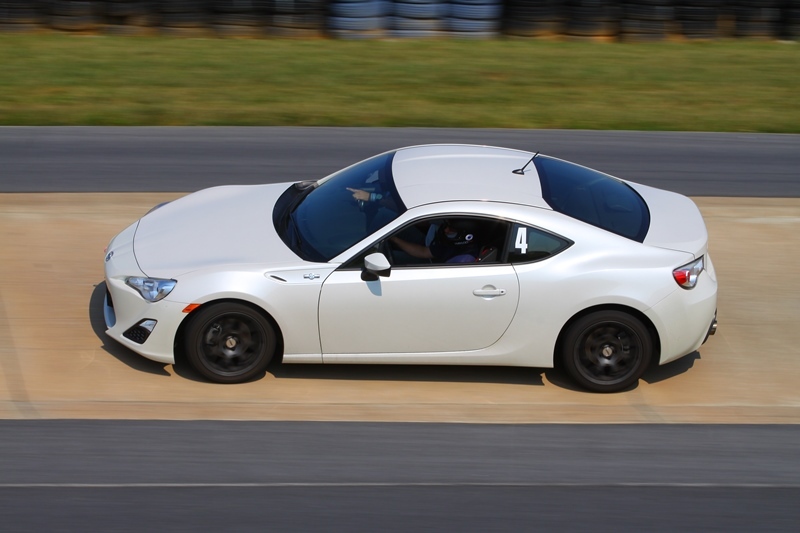 In autocross I always felt the car was a bit loose, but on the track, I could not imagine a more forgiving but balanced textbook RWD car. I think there is headroom for even stickier street tires. 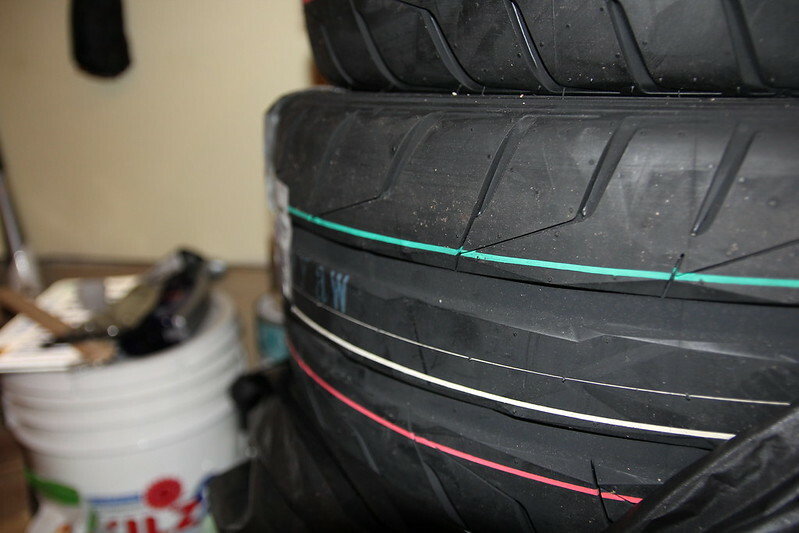 4) Sumitomo HTR ZIII - These are not aggressive for a max performance summer tire, but they match the factory suspension well and don't overwhelm the Stoptech pads. 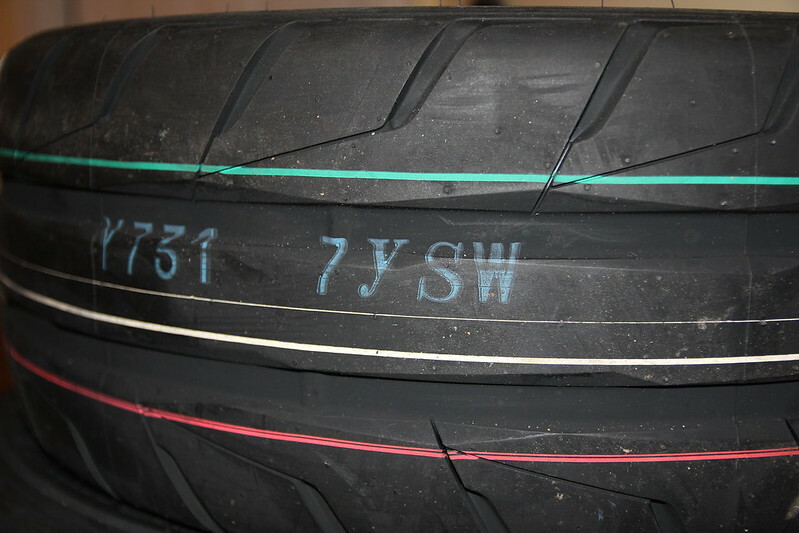 I recommend these tires if (like me) you don't have a ton of track experience and aren't looking to set the fastest times possible. They did not get greasy until midway through the later sessions. 5) Stoptech brake pads / fluid - They worked fine. I only got mild pad fade towards the end of each day. Fluid did not boil. Running mild tires definitely helped here. With more aggressive tires, these pads will almost certainly fade IMO. 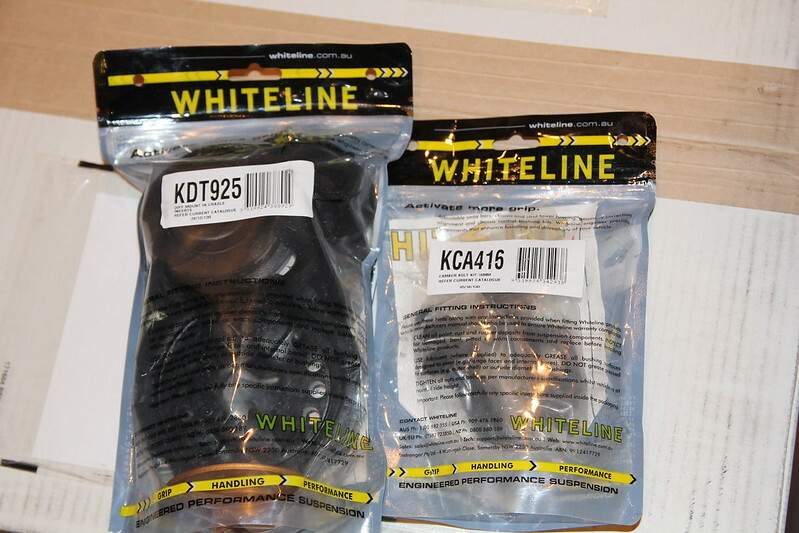 6) 100 octane - well worth the extra $100 over two days for that extra bit of protection for the DI seals. The car even missed a cool-down session when my instructor wanted to take the car out for an extra session, and everything was fine. I did have one small hiccup at idle after a red flag came out while I was WOT down bridge straight and I had to immediately stop the car with no cool-down, but it was fine after a restart. 8) Gearshift/clutch - Have to mention this. 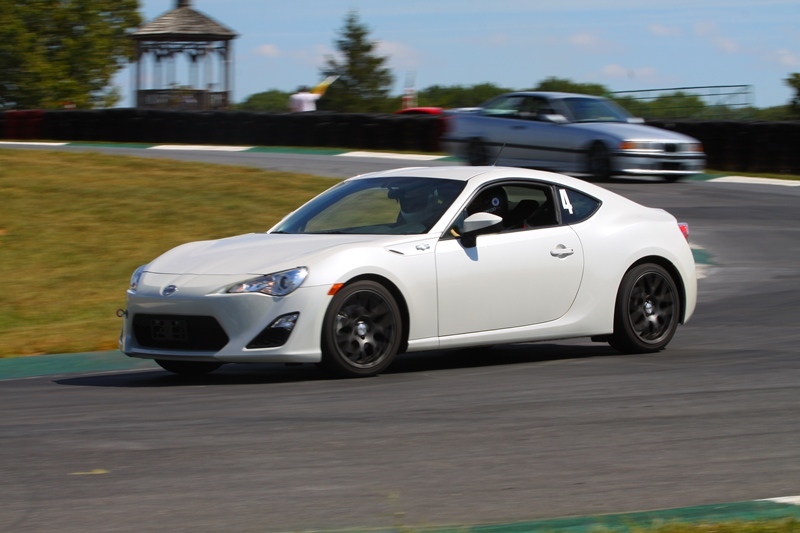 I loved how easy it was to heel-toe at will in this car. Very intuitive and the gates were precise/easy to find. 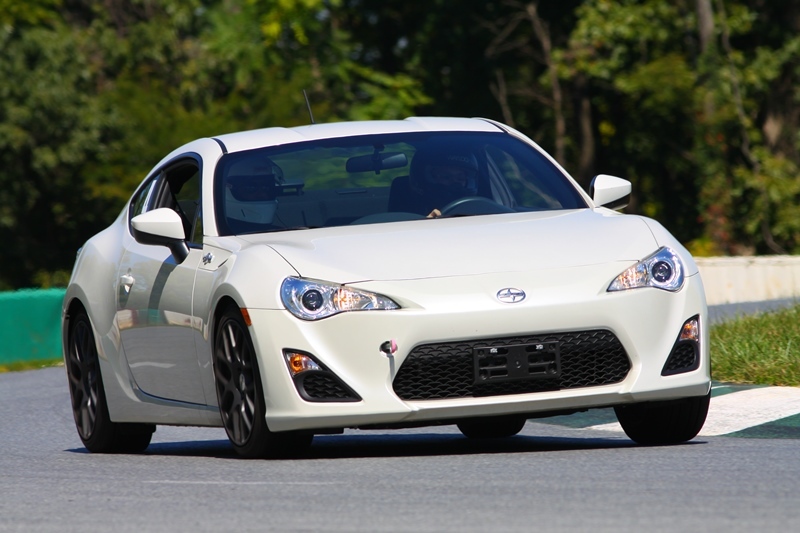 I've done the clutch pedal adjustment and would recommend that. Last edited by DarkSunrise; 09-22-2013 at 09:41 PM. Nice!! 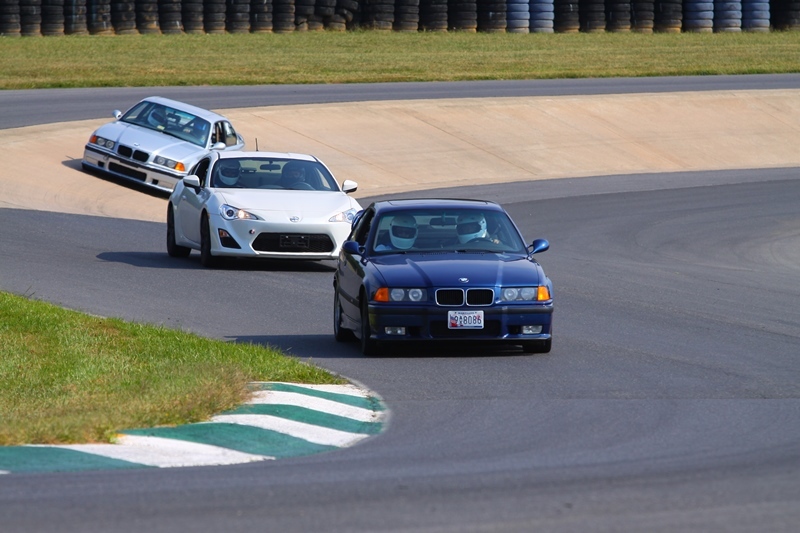 That Shenandoah circuit is a tough one. Thanks! 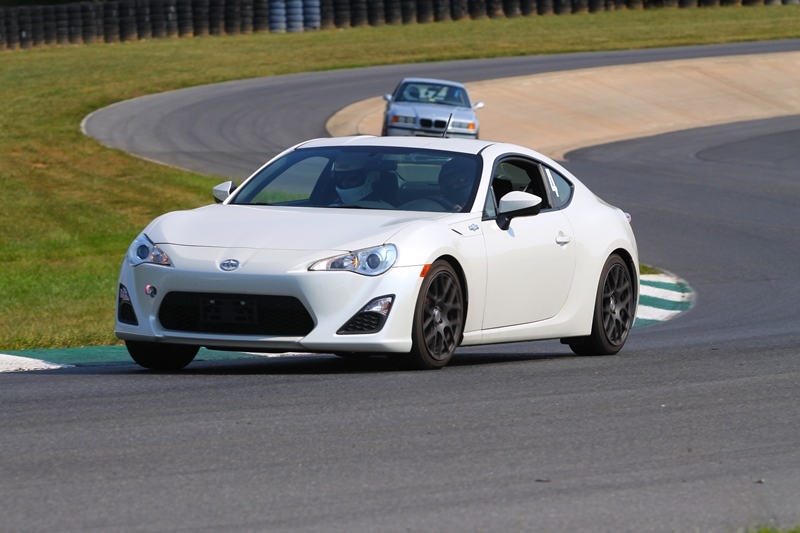 Yeah definitely tough to master, but so much fun in light/nimble cars. Bunch of wusses! I always look forward to Shenandoah. I recently went a couple of weeks ago and it was perfect with the fall foliage. Beautiful photography, tremendous circuit (parts could pass for Nurburgring), inspiring writeup, thanks! 1. I finally got cleared for Solo (no instructor), woot! I did my last two runs on Sunday without an instructor. Very different experience, and while I've had fun with and learned something from all of my instructors, it was definitely enjoyable being out there solo. 2. My first instructor asked why I wasn't in intermediate and my second instructor flat out told me I should be in intermediate. 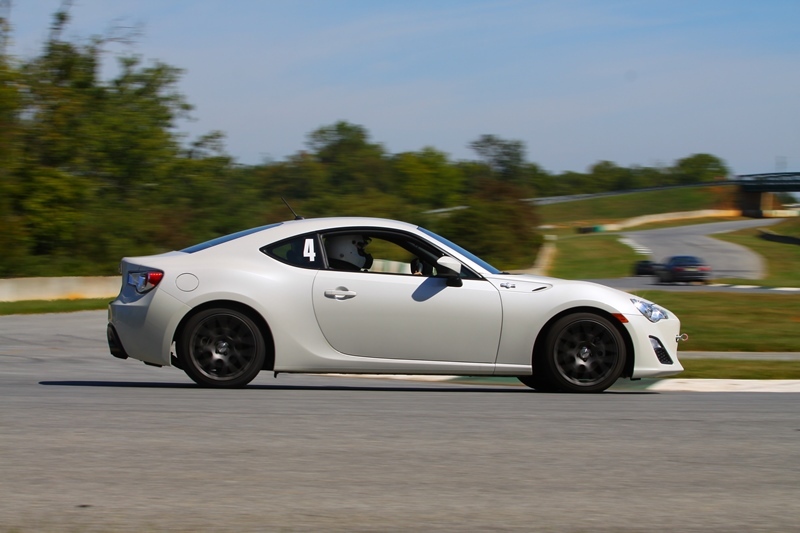 I had no idea -- nobody says after X track days, you should be in intermediate. Wish it was more clear, but now I know I guess. 3. I played around with late apexes a lot. It was amazing to me how much a late apex opens up room for track-out. 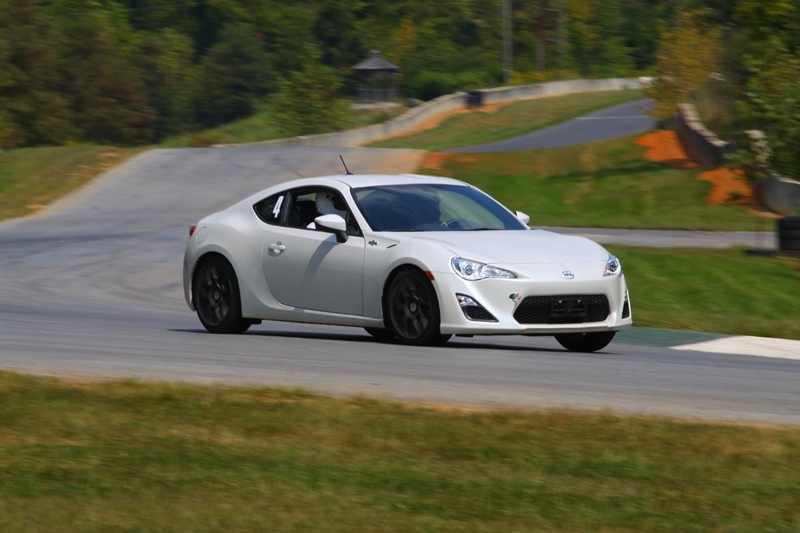 You can get on the throttle earlier/harder without running out of track. Nifty. 4. 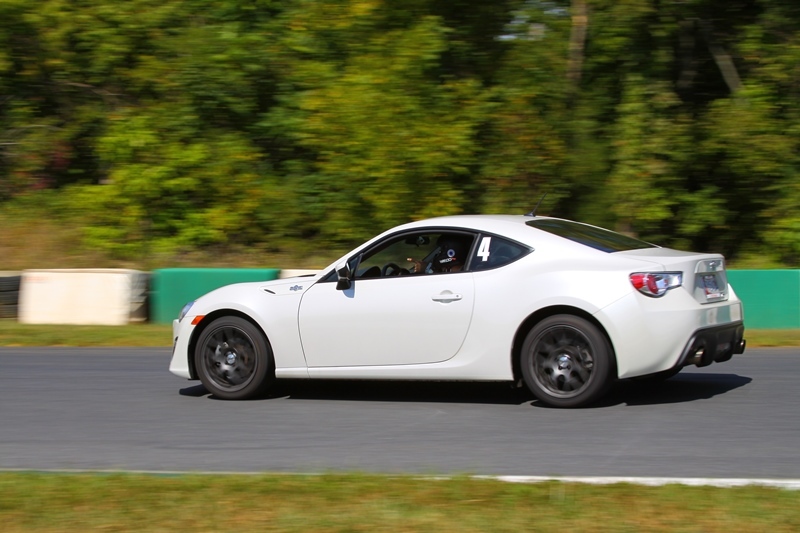 I played around more with trail-braking into the sharper corners. It does not feel like it will bite in this car, at least in the mild degree I'm using it, but it does allow for more turn-in. Not night and day, but noticeable. Felt stable. 5. On a tangent, I randomly had lunch with Jack Baruth (and a couple of other instructors). For a guy who doesn't like our cars much, Jack is pretty hilarious and tells some great stories. He was there doing a track segment for Road and Track's long term C7 Stingray. After lunch, he was like, grab your helmet and I'll give you a ride in the new Stingray. Holy hell. Baruth in the C7 is devastating. 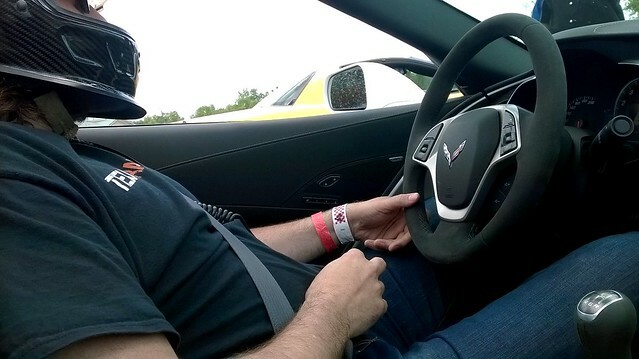 That man can drive (smooth and fast) and the new Vette is massively quick. I can also say in absolute truth, I passed a car with Baruth in it multiple times. 6. 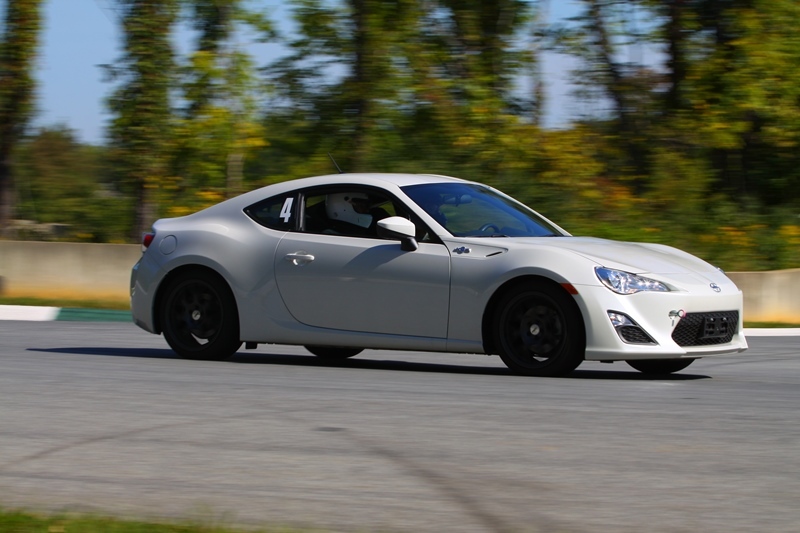 Lastly, have to comment on the FR-S. It was awesome again. I will have to add camber bolts as I'm chunking/chewing up the outer edges of my tires pretty badly, but the brakes were holding up with the Sumitomos, and I would just back off slightly when I could feel the pads starting to fade. I had an ABS light early in the morning after I managed to lock up a wheel going 100+ mph, but once I restarted the car, it was fine. Perhaps that tire was wet/cold. 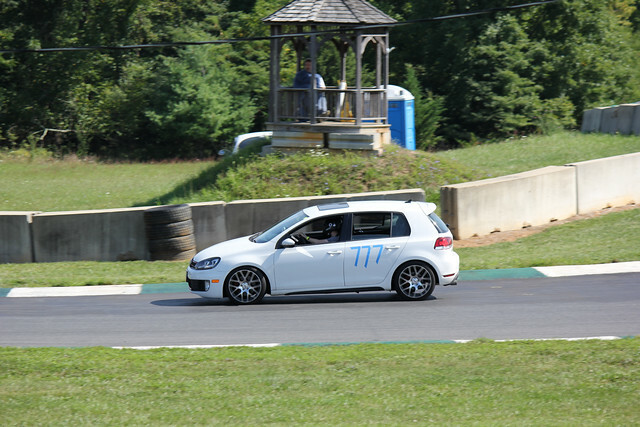 Different car, but brought my MK6 GTI on all-season tires out to the track after a long hiatus. Drove the piss out of it. Story of the day was understeer. Corner entry, corner exit. 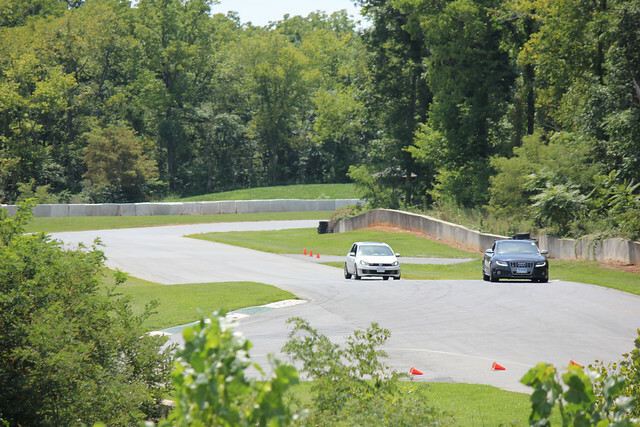 Even with trail-braking, the car just did not want to rotate and would run wide. That said, it was fun taking a step back and lapping at 8/10ths. The car seemed better balanced just under the limit, and tire wear (melt?) 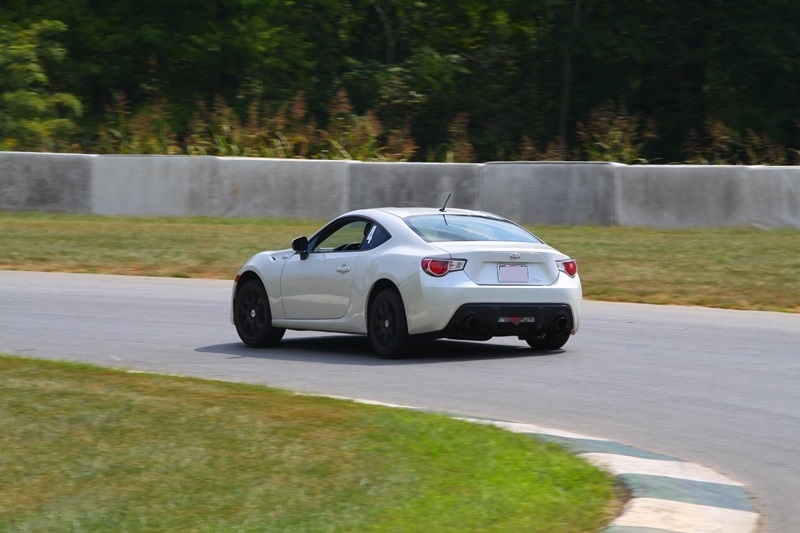 evened out F-R.
One interesting thing I saw - my max speed on the back straight was only 98 mph, whereas with the FR-S, I routinely hit 103 mph. 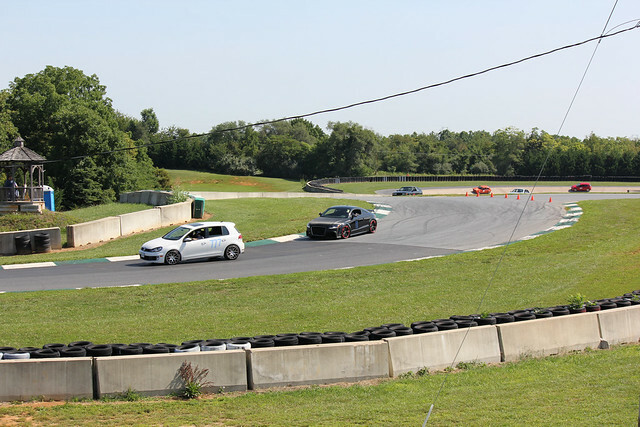 The GTI should be faster, so I would guess that's all about corner exit speed leading to the straight. 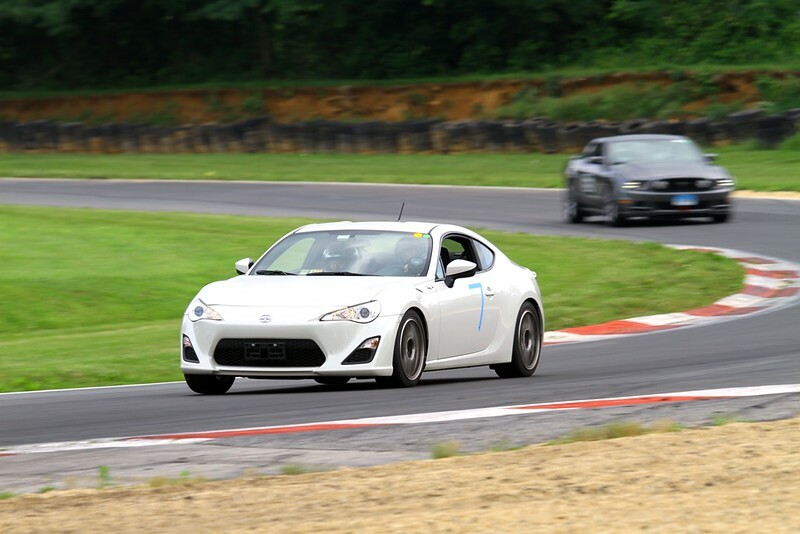 Getting absolutely destroyed by a buddy of mine driving his stage 2 TT-RS on P Zero Corsas. Slowly chasing down an S5, but did manage to get a point-by eventually. The GTI rolls over and play dead. Last edited by DarkSunrise; 08-17-2014 at 10:27 AM. My credit card took quite a hit this month, but things are getting rolling. 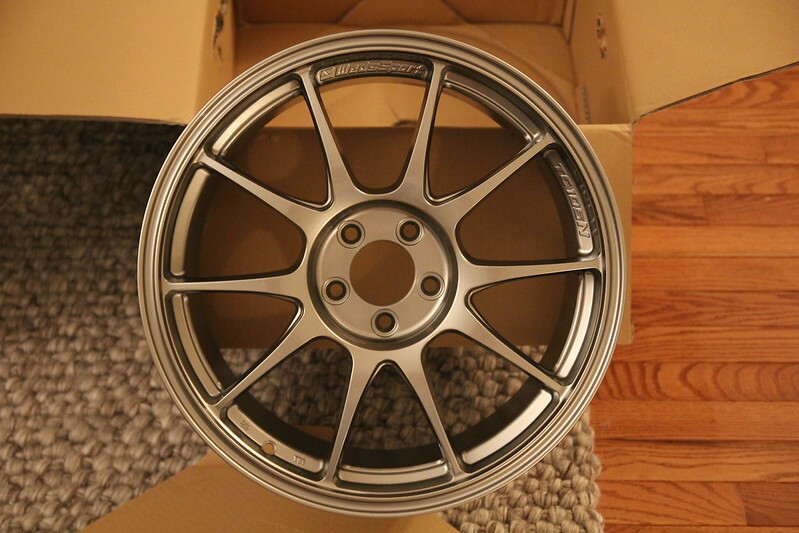 Bit the bullet and ordered a set of Wedssport TC105Ns. Size is 17x8 +42. 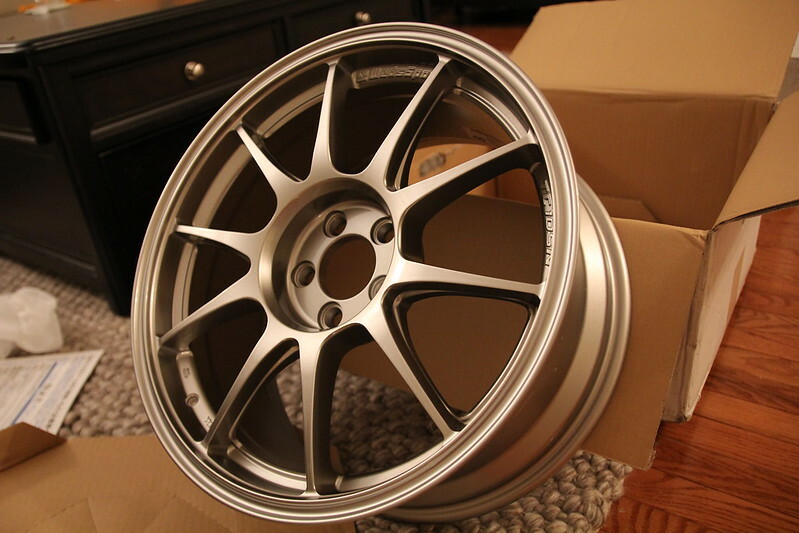 These will be my next set of track wheels. Going against the concave trend, but I think these look good anyway. 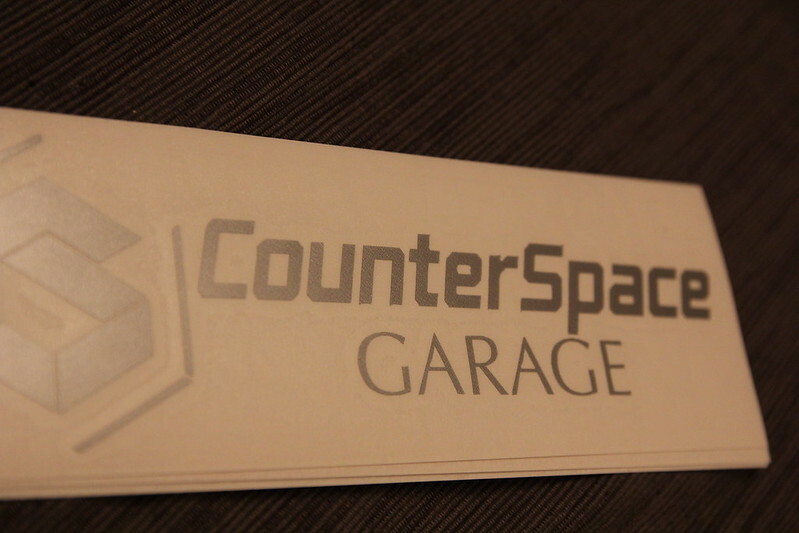 If anyone is interested in buying a set, @CSG Mike sells them at a great price, and it's great being able to support a vendor who's done solid track development work for our aftermarket. To round out the handling mods, also got Whiteline camber bolts and rear differential inserts. Thought about getting coilovers, but I barely clear the ramp to my work parking garage. I definitely can't go any lower, at least not for the time being. Will get all of the above installed before my next track weekend on Sept. 6-7 and report back.